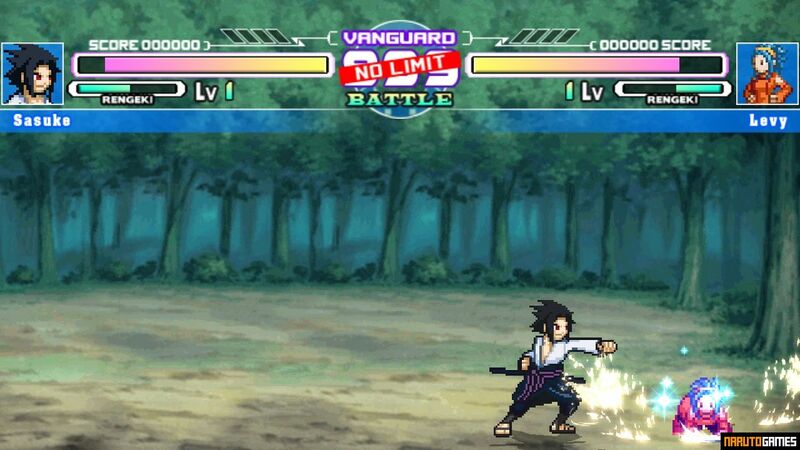 Fairy Tail x Naruto Mugen is an anime crossover fighting game featuring characters from two well known manga and anime series, Fairy Tail and Naruto. 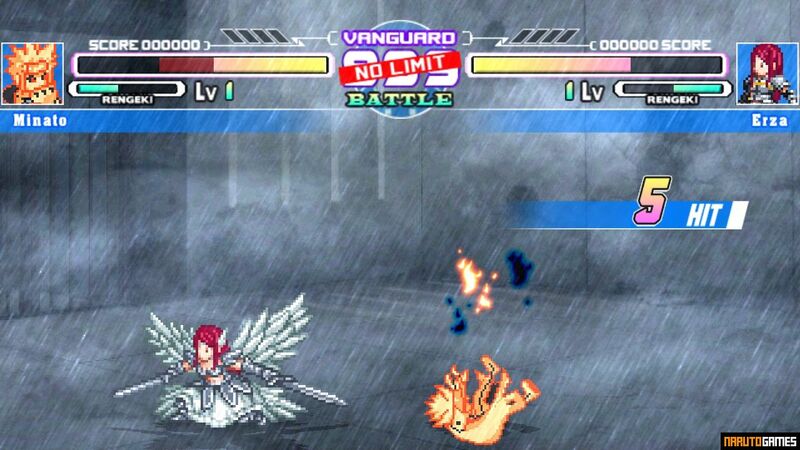 The game was made on Mugen engine by TrafalgarLawzz. The characters you can find here have been created by many fans both on the basis of sprites from various commercial games and their own work. The author has collected all these characters (24 in total) in one game, creating a dream come true for many anime fans who want to experience the direct clash of the heroes of both series. This is a classic fan-made game and, as usually happens, it's not free of defects. 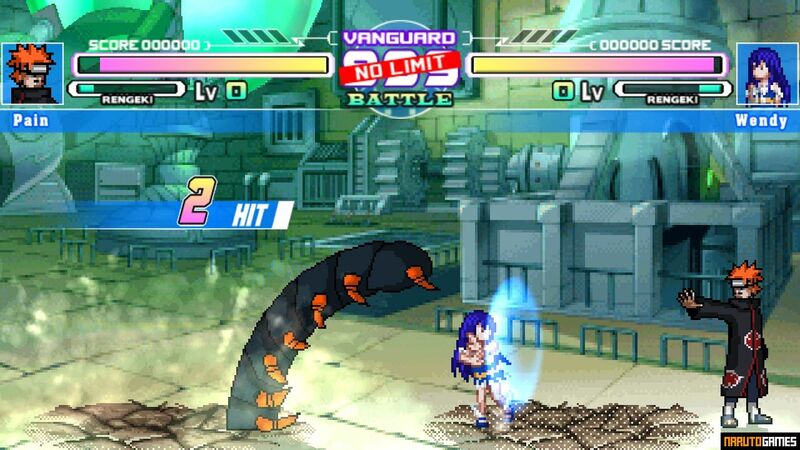 The level of difficulty is very uneven and there will be frequent situations when one opponent will not attack you, just waiting to be defeated, and the next one will defeat you in several combo chains. But it doesn't bother anyone, because the opportunity to see Naruto and Natsu in one fight gives a lot of fun and you'll quickly forget about these shortcomings, sinking into epic clashes between mages and ninjas. 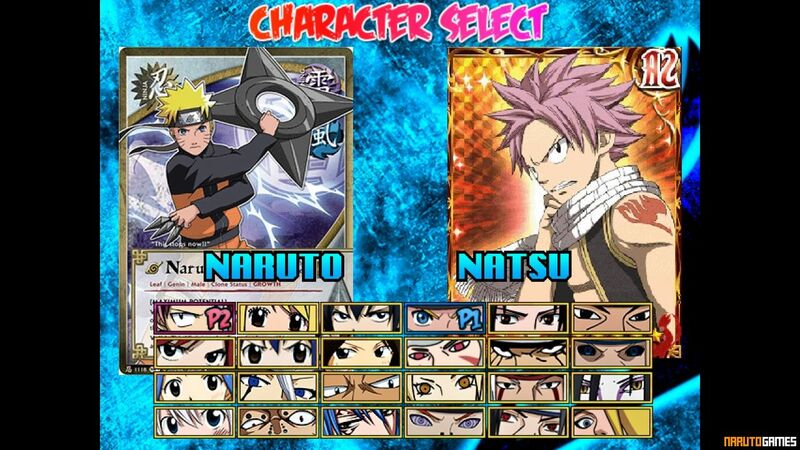 The game includes 20 stages of which there are many well-known places from Naruto and Fairy Tail series. 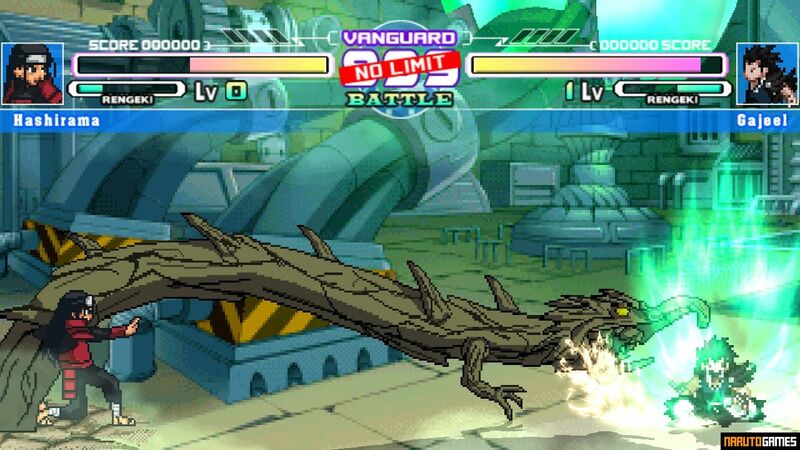 The game has very few modes compared to most Mugen games. 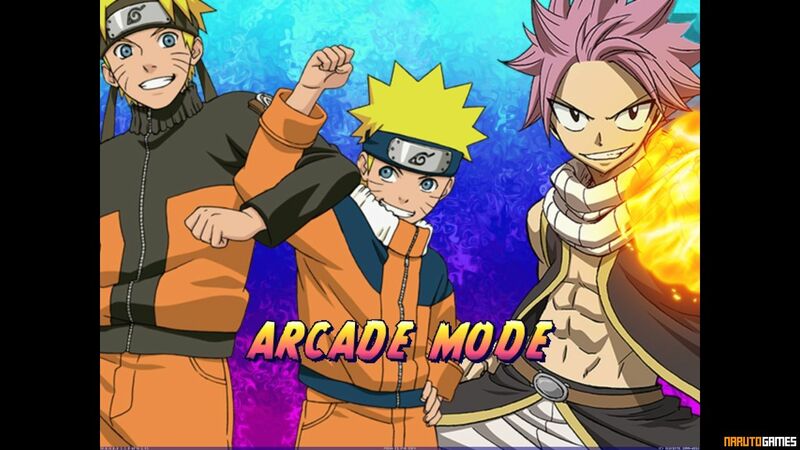 You can only play classic Arcade mode, fight your friend in Versus mode or simply train your moves in Training. You'll not find here the popular Survival mode or 2v2 fights. Despite the smaller content, the game offers an exciting gameplay that will give you a lot of fun for a long time. 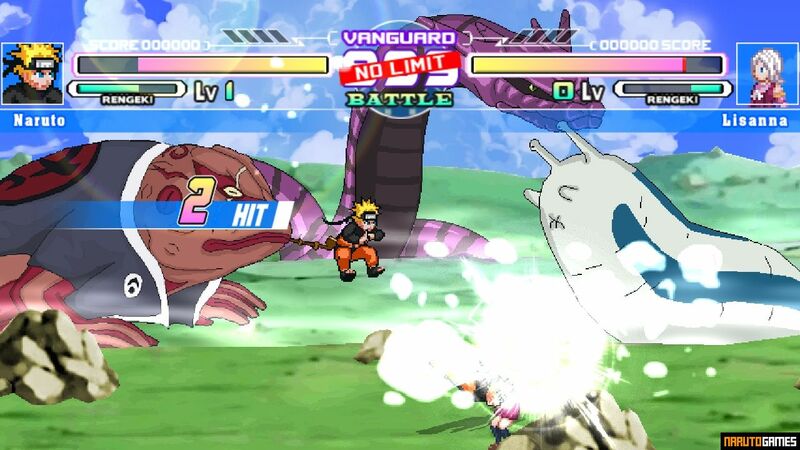 Also check out the newer Naruto Mugen games created by TrafalgarLawzz, such as Naruto Konoha Legends Mugen 5 and great Naruto Battle CLIMAX Mugen. 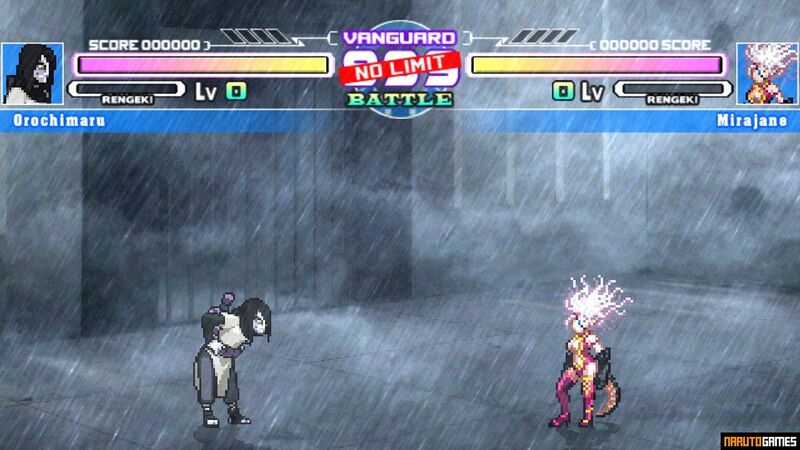 Run FxN - Shaman vs Ninja Battle MUGEN.exe in the main game folder. Some character folders (Game/chars/) contain Read-me files, in which you can find special moves and tips how to play more effectively.